This product is the instrument to measure Color Rendering Index (CRI), Color temperature, and Illuminance of light source such as LED. CRI, Color Temperature, and Illuminance specify the color rendering property of light source. 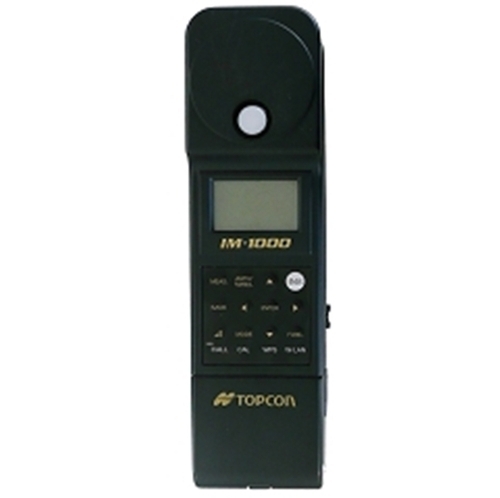 IM-1000 is capable of wide range illuminance measurement and is used for checking illuminance in the construction industry and inspecting LED illumination product in R&D and factory of the illumination manufacture. Since its establishment in the year 1988, Mangal Instrumentation is regarded amongst the reputed firm in the market manufacturing and supplying finest series of Lamp Testing Instruments, Light Measuring Instruments, Color Difference Meter, Gloss Meter, Opacity Tester, Haze Tester, Electrical Testing Instruments, Whiteness and Brightness Meter, Safety Physical Electrical Test Equipment, Transparency Tester, Environmental Test Chambers, Retro Reflectance Meter, Leaf Area Meter, Solar Analyzer Meters and Breath Alcohol Analyzer. These items are greatly demanded by our customers for their characteristics like user-friendly, superior quality, excellent functionality, low maintenance, sturdy design and longer life.